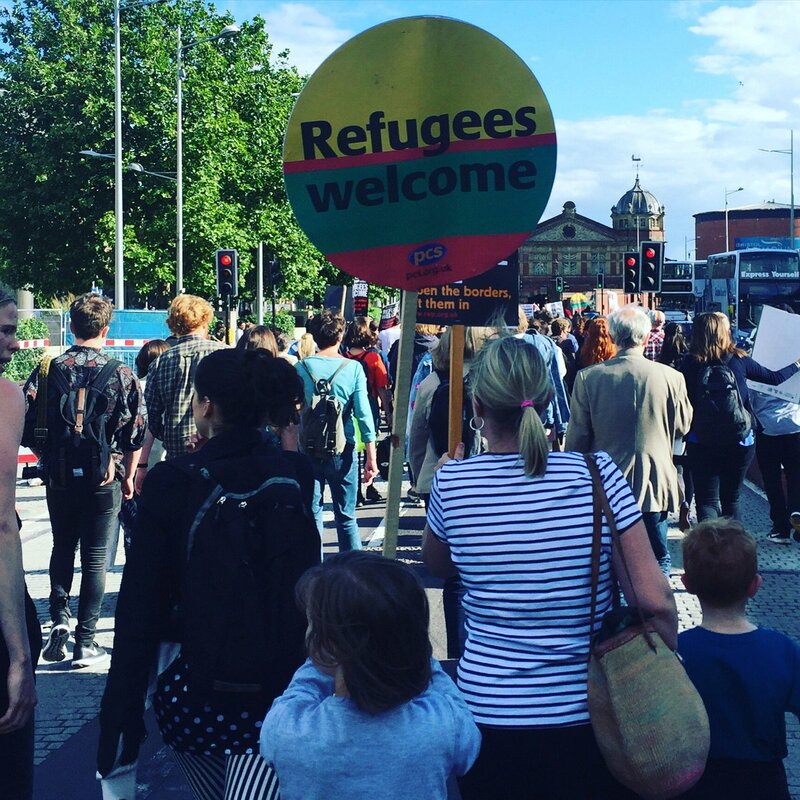 Hundreds of people took to the streets of central Bristol this evening to show their anger at the EU referendum result, demanding that our borders be kept open for migrants and refugees. As they walked, they chanted. Say it loud and say it clear, refugees are welcome here. Not just if you're rich and white, freedom of movement is a right. While Bristol voted in favour of remaining in the EU, overall the country decided to leave. Immigration was a key issue of the campaign. Today's rally was organised by three groups: Stand Up to Racism Bristol, Bristol People's Assembly and Bristol Stop the War Coalition. Its message? 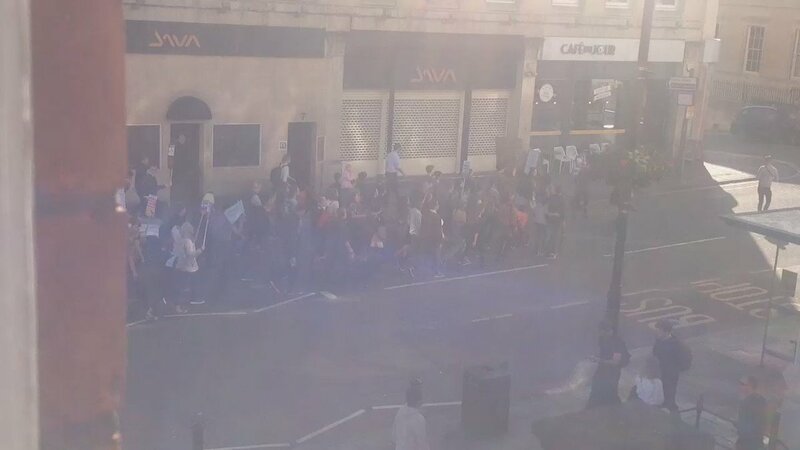 After rallying by the fountains in the city centre, the demonstrators took their protest up Park Street. It was a protest mirrored in cities across the country today, including London, Edinburgh and Glasgow. Brexit: How does it impact on me?